Cap. soc. € 200.000,00 i.v. 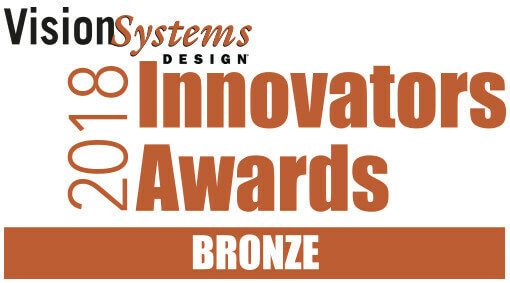 Boston, MA – April 11, 2018 – On April 10, Opto Engineering® - OPTICAL IMAGING TECHNOLOGIES was presented with a bronze-level award in the Lighting, Lenses & Optics category at the Fourth Annual Vision Systems Design Innovators Awards presentation, held during The Vision Show in Boston, MA. 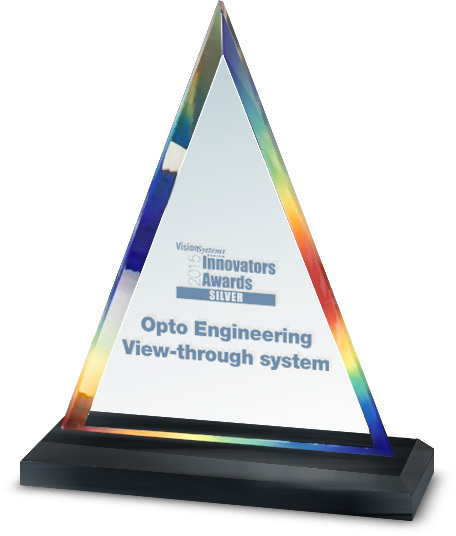 Their AO series - Adaptive lens for fast focusing was recognized by a panel of esteemed experts from system integrator and end-user companies. 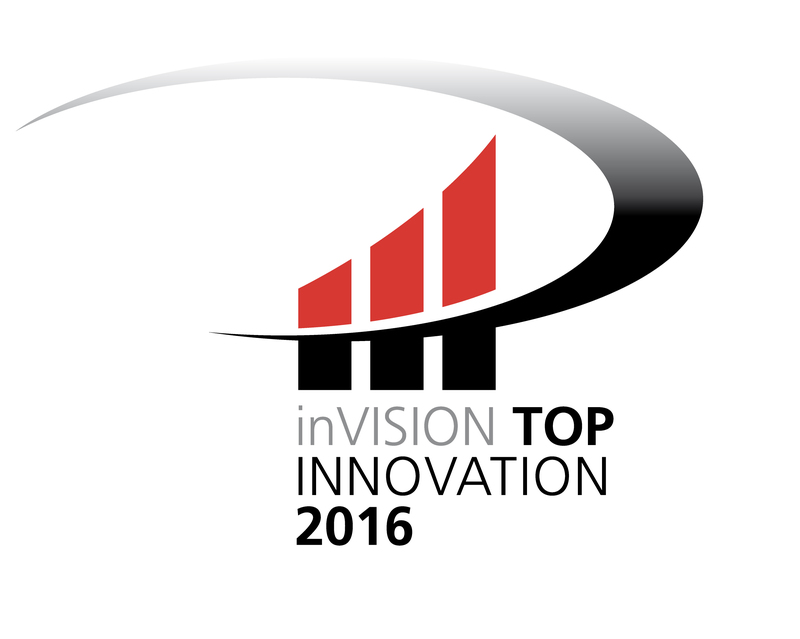 Dynamic industrial inspections need advanced technology to keep perfect focus in challenging applications . Adjusting the focus of a camera on a robot arm or tracking items across the field of view are common examples of where active focusing is required. 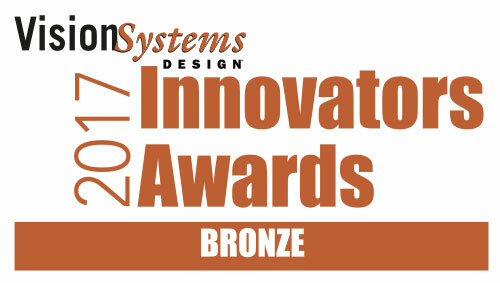 Logistics and in-line inspection need faster and faster inspection systems to achieve new productivity requirements. Fast beverage lines need to ched contaminants on different parts of bottles and cans. A typical approach in these cases is closing the iris to obtain a wider depth of focus but this conflict with the need of fast and light-demanding applications. An other approach can be the mechanical motorisation of traditional fixed focal lenses but the movement is slow and the development is always time consuming and expensive. 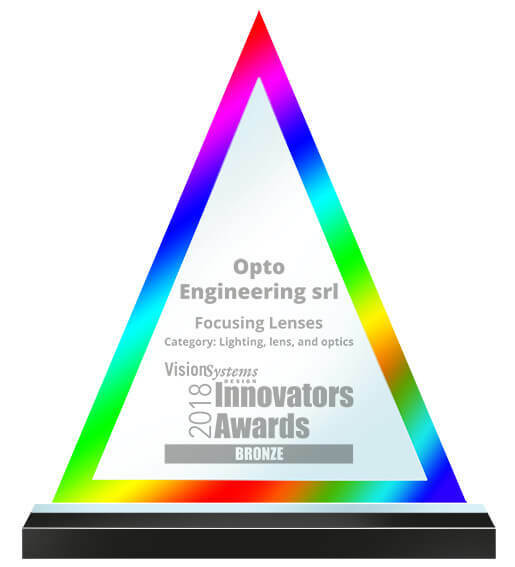 For these reason Opto Engineering® has developed its own focusing lens which allows customer to relosolve their problems of fast and precise focusing and save time and implementation costs. The integration of the focusing lens is simple and plug-and-play since the module needs just to be placed in front of a standard fixel focal CCTV lens. The embedded electronic drive driver has been specifically developed to accurately control the piezoelectric elements. Connected the module to a power supply and to an ethernet port to start using the adaptive lens. A demo user interface with basic control functions is available via a web browser interface. The lens can also be fully controlled with a dedicated .dll library. The library includes an autofocus algorithm and a calibration tool to help users integrate the adaptive module into their product or application. 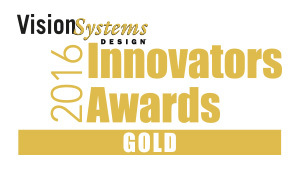 Vision Systems Design的发行商 Alan Bergstein表示："此项享誉盛名的 活动给予Vision Systems Design绝佳的机会来举办并奖励视觉及图像处理行业最具创新技术产品及服务。2016年度获奖者是在行业内做出杰出贡献的的最好的例子。"